The AMoA Open is on view beginning Saturday. 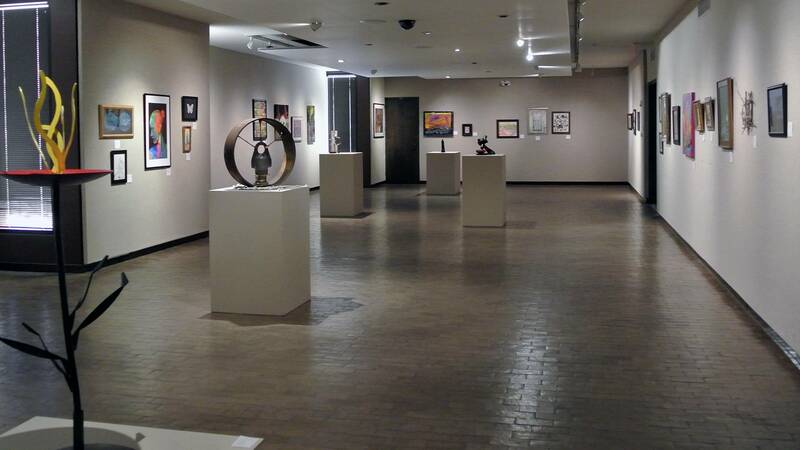 Any artist working in any medium can display a piece in an annual Amarillo Museum of Art exhibition opening Saturday. The AMoA Open will hang through Jan. 14 at the museum, 2200 S. Van Buren St.
Artists will install their own work salon-style, or floor to ceiling. Installation hours are 10 a.m. to 4 p.m. Friday and 1 to 4 p.m. Saturday. There is no fee to participate. An opening reception will run from 7 to 9 p.m. Saturday. Individual artworks may not exceed 5 feet in any direction. All artwork is subject to review; artwork must be appropriate for all ages. Label material will be provided, and no additional label material is allowed, including business cards or artist statements. Wall space and pedestals are available on a first-come, first-served basis, so artists are encouraged to begin installation early, said Alex Gregory, curator of art. Referencing the museum's mission to enrich the lives of the diverse people of the Texas Panhandle area, bringing them together for the experience of art," Gregory called the Open "the most accessible and community-oriented event in the exhibition schedule." "It’s an opportunity for any and every one, regardless of age or ability, involved in making art to install their work in the museum," he said. "AMoA is happy to provide the space to support and encourage creativity." The show will hang through Jan. 14. Artists must uninstall their own work between 1 and 5 p.m. Jan. 15. Admission is free. Call 806-371-5050.